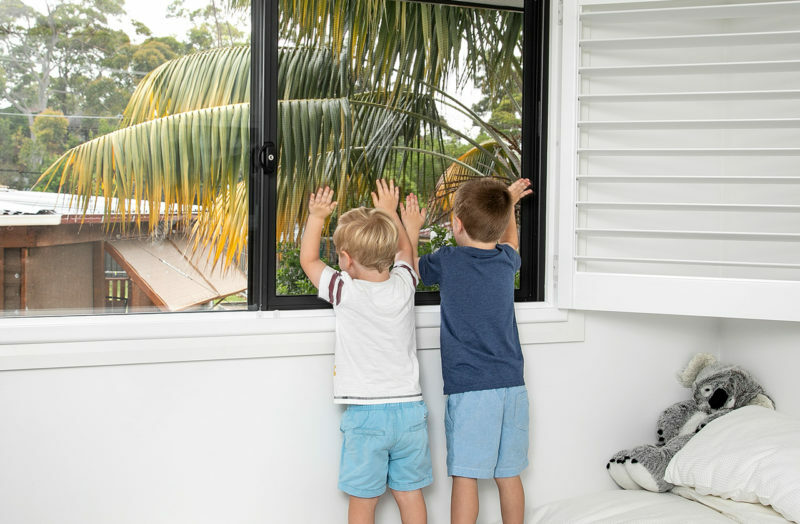 According to Kidsafe NSW, one child falls from a house window or balcony every week in Australia, with children aged one to five years old most at risk. Sadly, many falls result in serious injury and occasionally death. And with an increasing number of people living in multi-storey houses and apartment blocks, parents now need to be extra vigilant to ensure their own children are not at risk of falling. At SP Screens the safety of our customers is our number one priority. Which is why we only offer the kind of industry leading products, which give every parent the peace of mind they crave, while ensuring every child feels safe when playing at home. 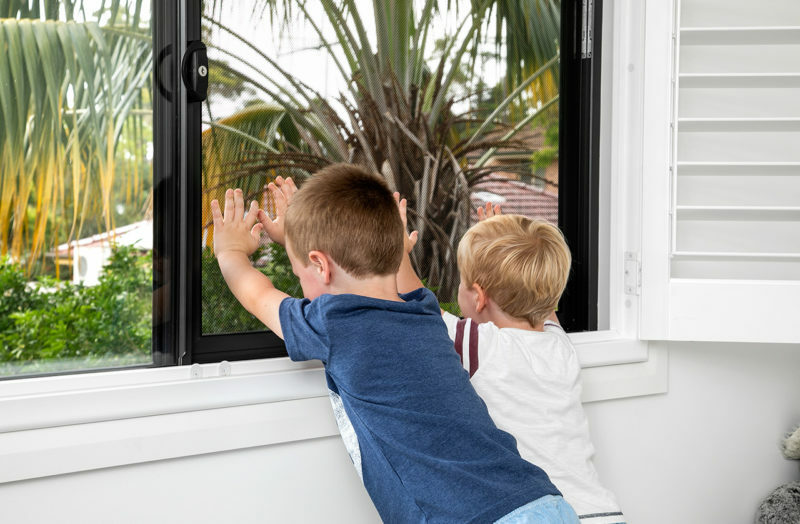 As of May 2013, new requirements were implemented in National Construction Code regarding child safety, specifically windows in bedrooms and childcare centres. The new code states that where the fall height from floor to ground is 2m or greater the window needs to be fitted with a device or screen that cannot open greater than 125mm, more specifically allow a 125mm sphere pass through the window opening. It must also resist the force of 25kgs. Any fitted screen must be able to withhold 25kg of pressure in three different points. 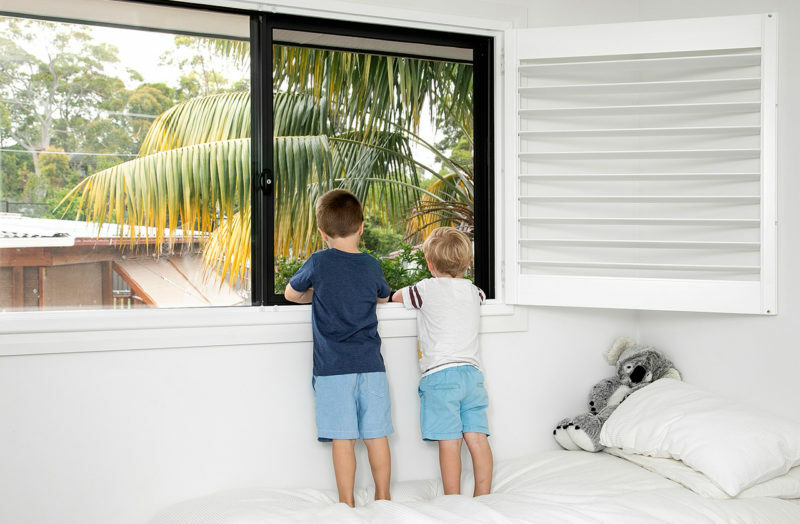 A secure, cost effective and great looking way to keep your children safe and bring essential airflow and ventilation into your home, Xceed Fallsafe Screens are made with hardened aluminium sheets, and incorporate the famous CommandeX patented fixing system for unsurpassed strength and durability. SecureView Marine Grade Security Screens can also be fitted as a fallsafe screen. This is recommended for fire zoned regions, coastal regions or homes within 10km from the water. 316 Stainless Steel is known to offer greater corrosion resistance when used in harsh salty environments. And as 80% of Australians live near the coast, this cannot be ignored.